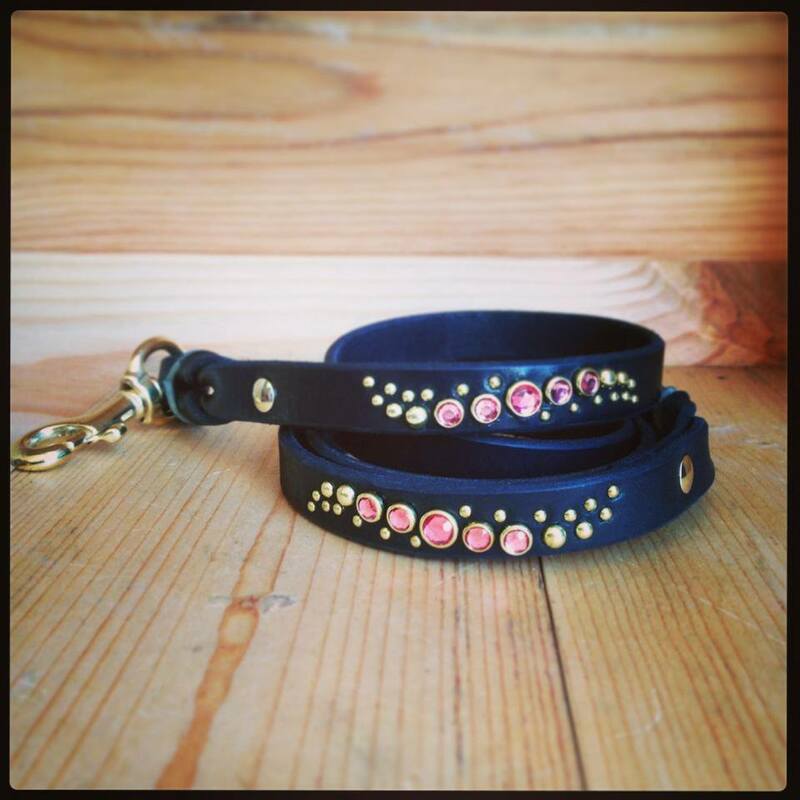 A Paco Matching Leash can be decorated to match any Paco collar. 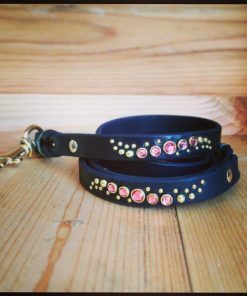 It’s the best way to complement your dog’s new wardrobe! 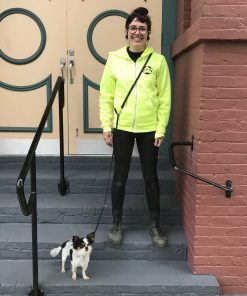 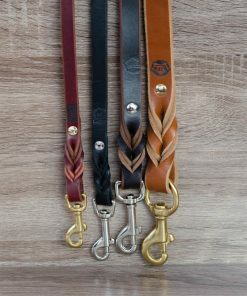 Matching leashes feature approximately 3″ of design near the snap end of the leash and 3″ of design near the handle end. 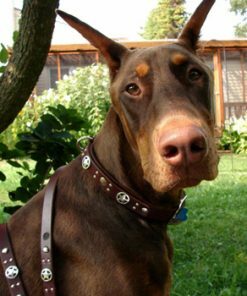 If ordering multiple collars, please specify which collar design you’d like us to match in the notes section during checkout. 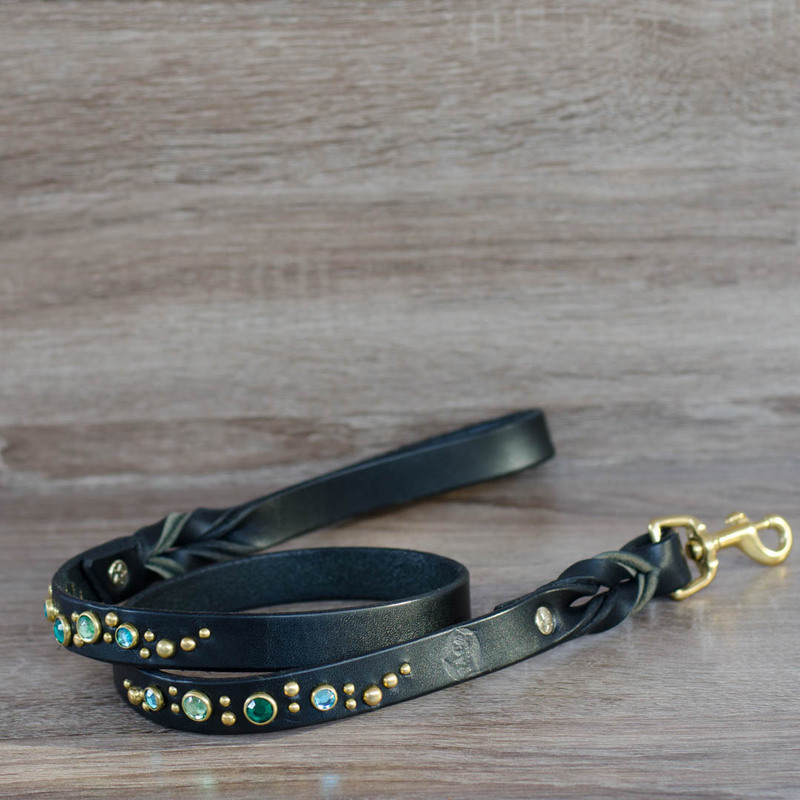 Small matching leases are 3/4″ wide, made from lightweight leather with lightweight hardware. 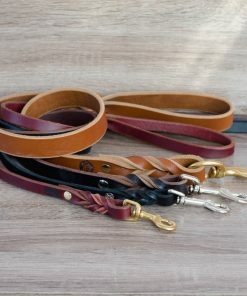 Tween matching leashes are 3/4″ wide, made from heavyweight leather with either lightweight or heavyweight hardware. 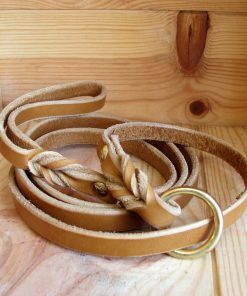 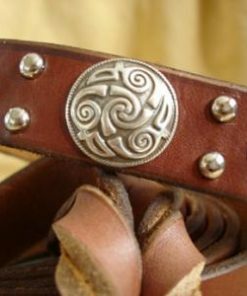 Medium matching leashes are 3/4″ wide for studded collars and 1″ wide for concho collars, made from heavyweight leather and heavyweight hardware. 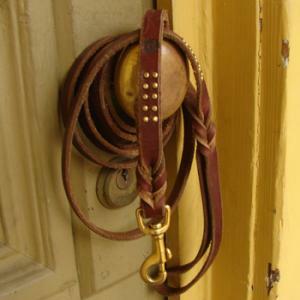 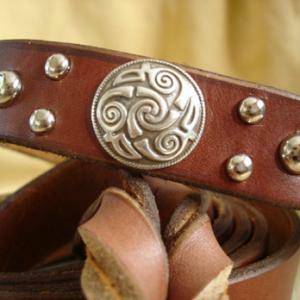 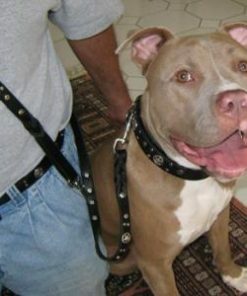 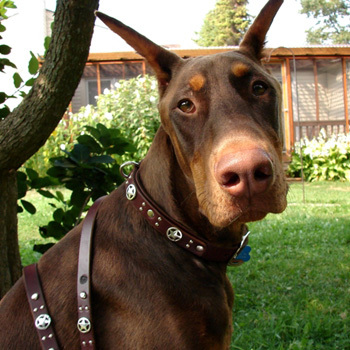 Large matching leashes are 1″ wide, made from heavyweight leather and heavyweight hardware. 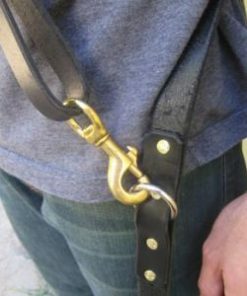 If you would prefer a different combination of features to create your perfect leash, please select your preferences below. 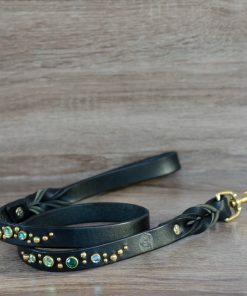 Know that we may need to alter the “matchiness” of your leash in order to suit your preferences (for example, we cannot fit a 1″ concho on a 3/4″-wide leash, but we could incorporate other matching elements from your collar to make the leash look awesome). 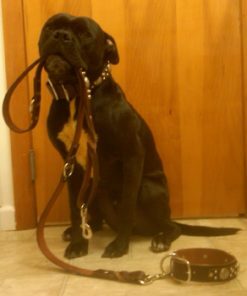 Lightweight leather, hardware, and 1/2″-wide leashes are not recommended for dogs that weigh more than thirty pounds. 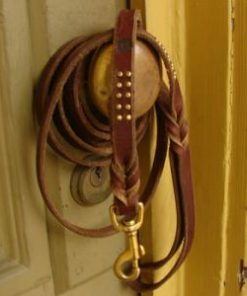 As always, feel free to contact us with any questions before you place your order. 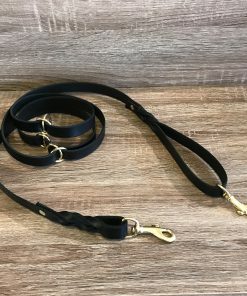 Know that we may need to alter the “matchiness” of your leash in order to suit your preferences (for example, we cannot fit a 1″ concho on a 3/4″-wide leash, but we could incorporate other matching elements from your collar to make the leash look awesome). 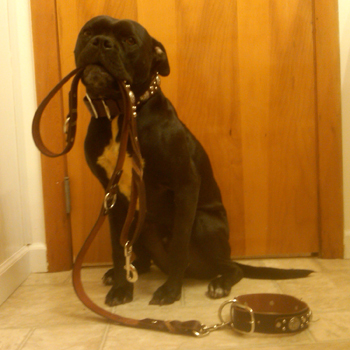 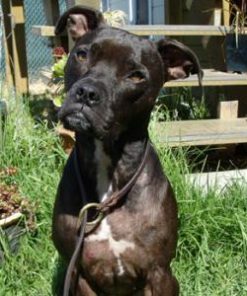 Lightweight leather, hardware, and 1/2″-wide leashes are not recommended for dogs that weigh more than thirty pounds.